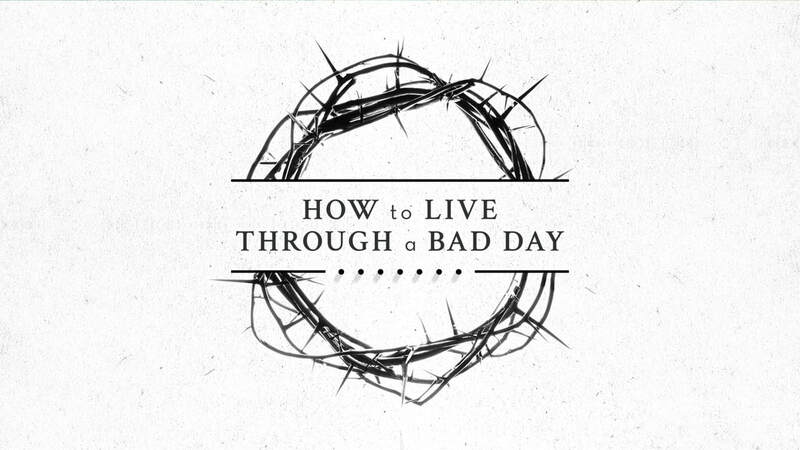 We all know what it’s like to have a bad day - and so does Jesus. In fact, His worst day ultimately led to His death on the cross. In the hours leading up to His death, Jesus endured incredible pain in many forms, some of which we too have experienced - like betrayal, false accusations, rejection, abuse, and humiliation. Despite the intensity of His pain, Jesus set the example for how we can have victory over hardship. There are 7 sayings from Jesus recorded as He went to the cross. From these 7 sayings, we can learn practical lessons to help us know how to live through a bad day. Friendship, loyalty, and passion are essential to a Godly marriage. For our relationships to work, we need to let the One who defined them design them. Joshua 1:9 says, “Have I not commanded you? Be strong and courageous. Do not be afraid; do not be discouraged, for the Lord your God will be with you wherever you go.” These words were spoken to Joshua, but they hold meaning for us today. What has God called us to do? How are we a part of His story? We all have a favorite Christmastime movie that makes us laugh, inspires us, or gives us hope. Join us for “Christmas at the Movies” as we celebrate Christmas and unwrap the deeper meanings in some of our favorite Christmas movies! What’s the toughest situation you’re facing today? A relationship? Financial pressure? What is it that’s really messing with you right now? In this series called “Above & Beyond” we learn specific truths from God’s Word that will allow you to live above your circumstances and experience peace and hope in the midst of your problems.